Nema Enclosures produce NEMA 12 enclosures which are intended mainly for indoor industrial, manufacturing, and machining applications. These metal enclosures will protect against dust, dirt, and dripping non-corrosive liquids, oil and lubricants. Our adherence to NEMA standards will give you a quality enclosure for any industrial application. We produce a number of enclosure types in aluminum, carbon steel and stainless steel delivered quickly at competitive prices. 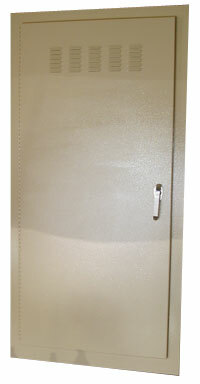 Nema Enclosures manufactures quality custom and standard NEMA-rated enclosures. Custom powder coating and silk-screening is available. Contact us today to learn how we can expedite a custom enclosure and produce cost-effective standard NEMA-rated enclosures to protect your equipment.